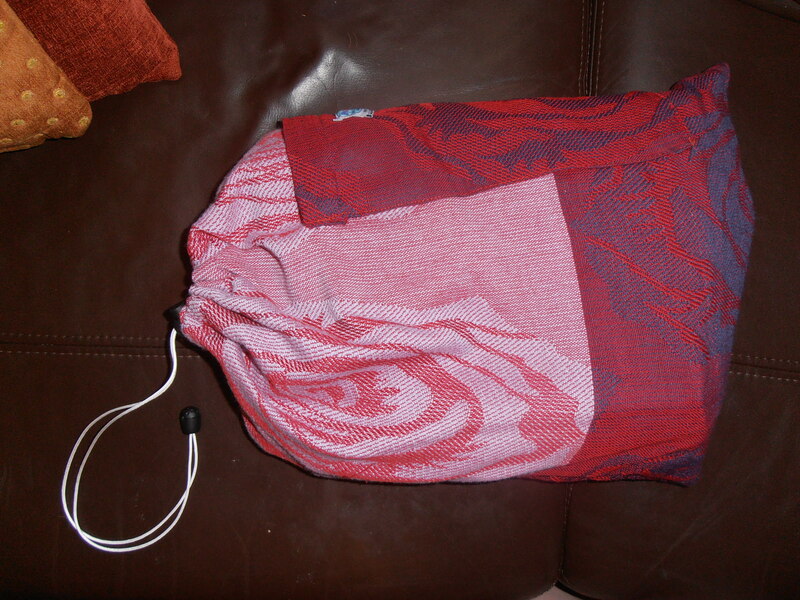 I got in touch with Adebisi from Joy & Joe Baby who was looking for testers for stretchy wraps, she told me about their new Maxi-Roses wrap, part of the woven-J collection by Joy&Joe and asked if I’d help supervise testers and try out the wrap myself, and here it is! 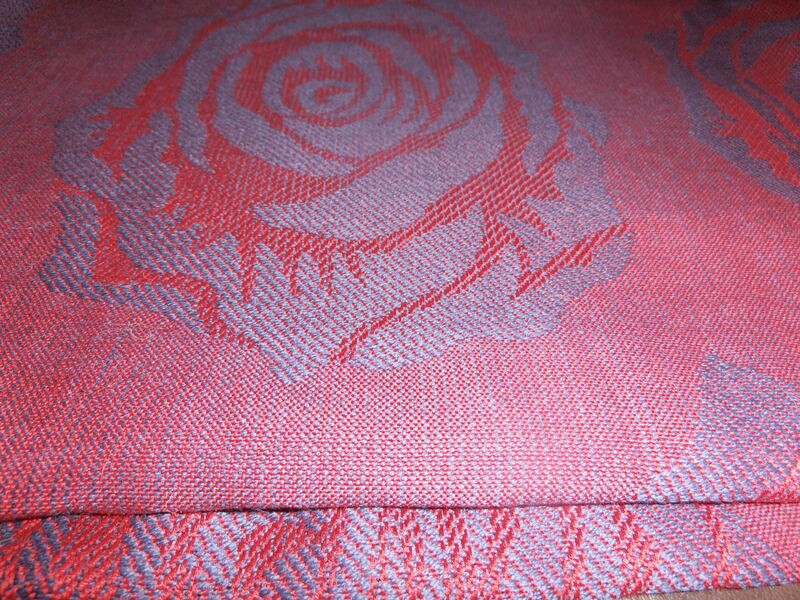 I’ve tried to show the detail of the weave and the colour way in these photos. 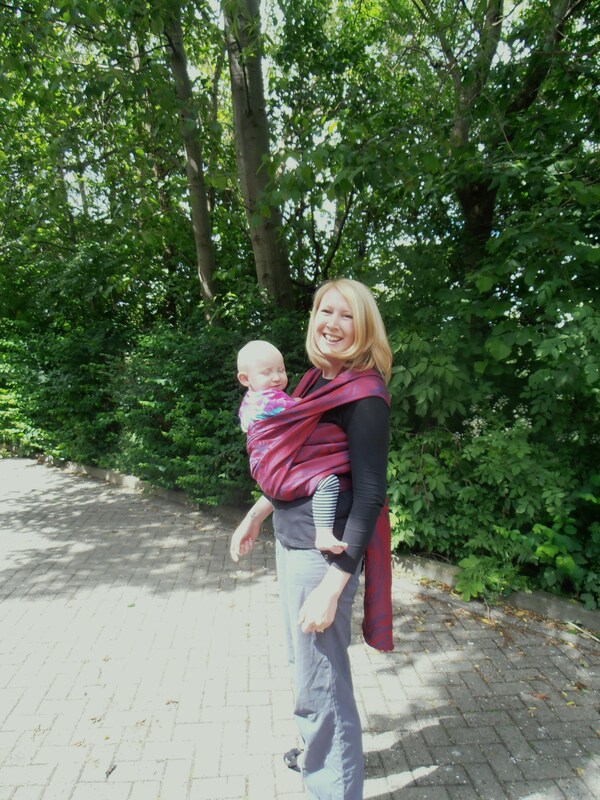 Priced between £44 – £94.99 this affordable wrap is made from 50% cotton and 50% lambswool but the blends can be adjusted on request. 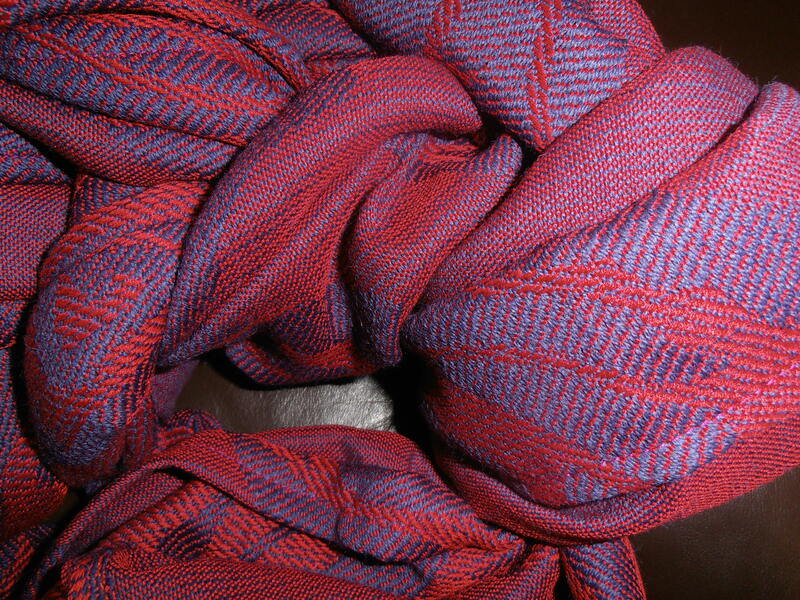 A great price but no compromise on quality, woven not far from where I am in the North East I actually found this 50/50 blend worked really well for us, slightly warmer than a cotton wrap and I like a slightly heavier wrap too, it just feels really supportive. 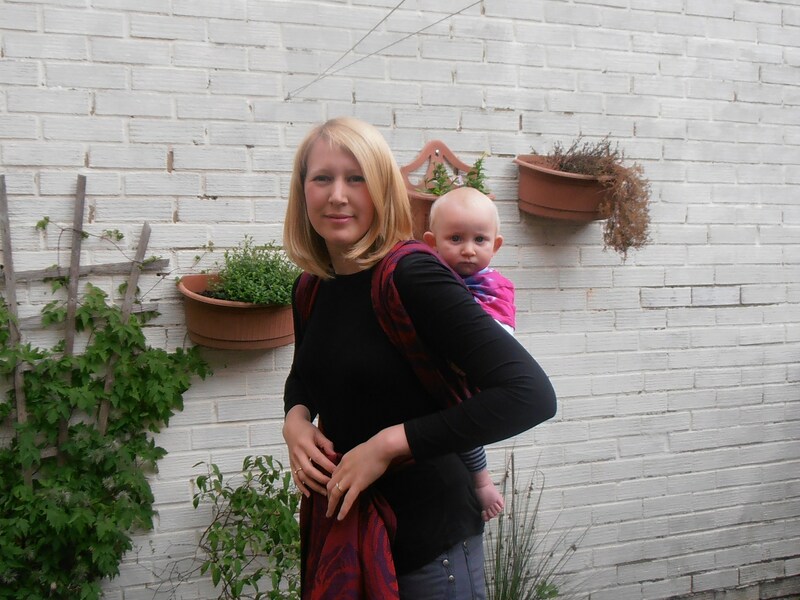 I’m not as confident at back carries as I was now Joss wants her arms out so tend to prefer a shortie, so excuse my slightly looser than I’d like ruck, it was sufficiently stretchy to wrap with but the dense 3d jacquard effect of the weave made it feel really well supported and grippy. We popped out for a long walk to enjoy the sunshine, as the Maxi-Roses is a wool-blend it was lovely and warm so we didn’t need coats, and we enjoyed a lovely afternoon with Joss in a FWCC. 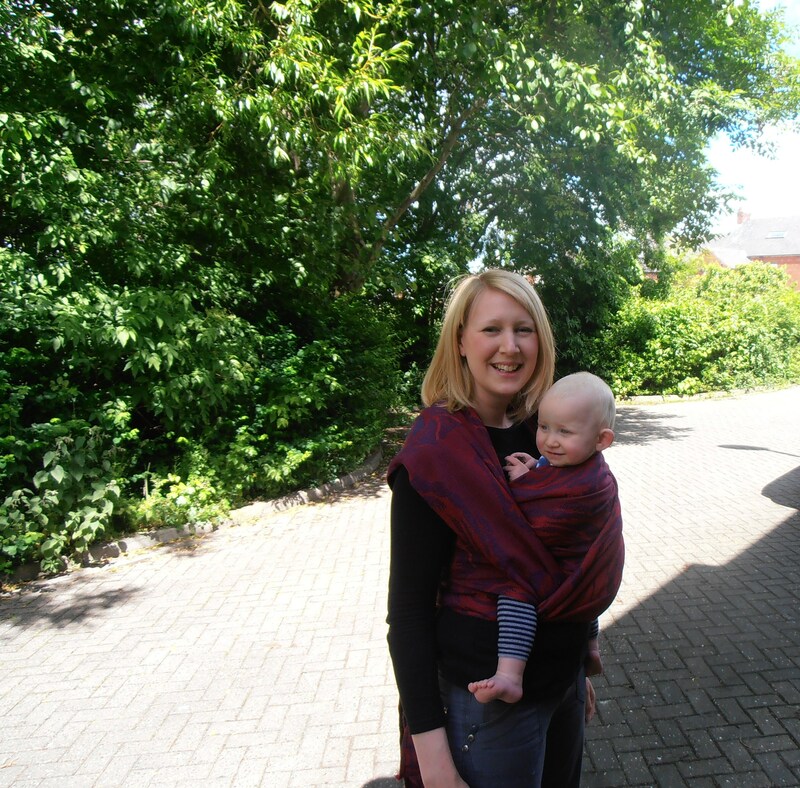 All in all, smily faces for a lovely snuggly new wrap! 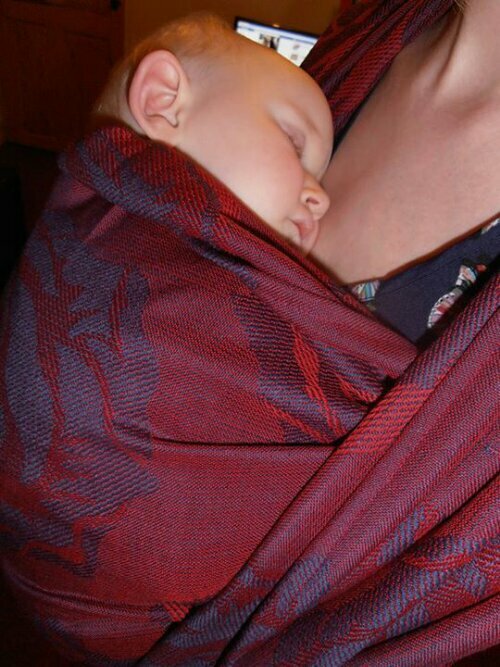 We’ll be taking the wrap to a local sling library or meet to ask other mamas their views to feedback to Adebisi, the wrap will then be making its way to the next mama on the list who I know will enjoy trying it out as much as we did, we’ll be sad to see it go but are sending it on its way with sleepy dust and love! Joy & Joe recently announced that the wrap goes up for pre-order on 19th June. 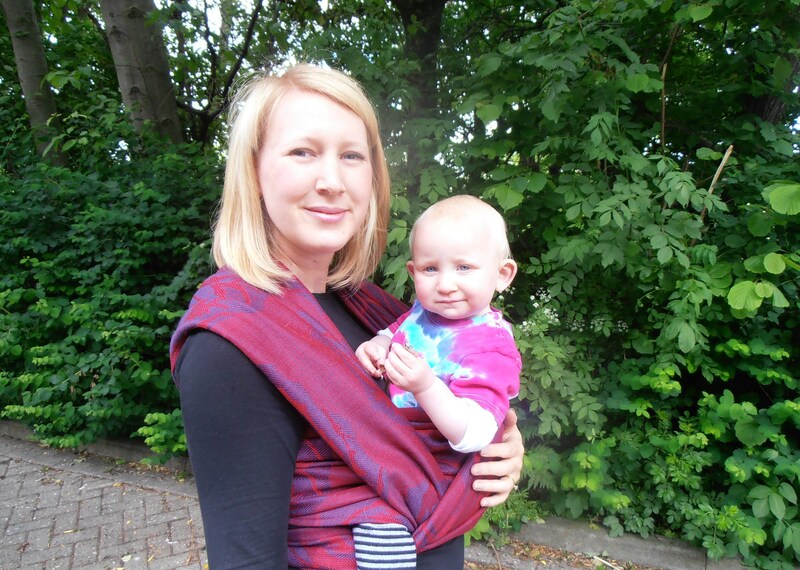 Do check out http://www.joyandjoebaby.com/ for more details about the pre-order, get your order in quick, we think these will be VERY popular!